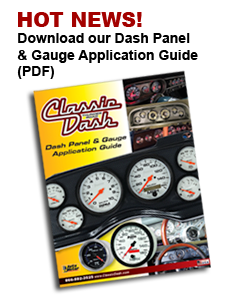 Molded ABS instrument panel for the 1995-98 Chevy / GMC Truck Racepak IQ3 Series Digital dashes. RacePak IQ3S street dash. The IQ3S is a complete dash cluster replacement, providing all standard road functions such as speedometer, tachometer , oil pressure, coolant temperature, fuel level, voltage & turn signals. Comes with a programmable shift light, ideal for all vehicles with modern engine swaps or aftermarket EFI systems.